Every morning, Gladys wakes up and runs into the kitchen for breakfast. Her mother, Olga Campos (37) prepares her a healthy meal; Soy milk, green tortillas made out of vegetables, eggs and beans. Gladys who is 4 and half years old looks very healthy and happy. They all live in the community of Santa Ifigenia in Honduras. “Thanks to the recipes I learn from the World Vision project, ‘Common pot’, I saved my daughter’s life,” Olga says very proudly. A few years ago Gladys use to suffer from anemia, she almost died. 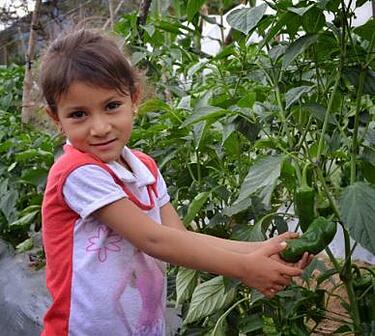 Her father Jaime Coto use to work at other people’s farm, making a daily income of $6. This was not enough to properly feed his family. “We struggle for a long time with money, my daughter was very sick and it was hard for me to afford Ramon and Ana Julissa, my other 2 children ́s education,” Jamie recalls. Liyana Zenasi hails from Zenasi village in Chilenje Area Program in Malawi. 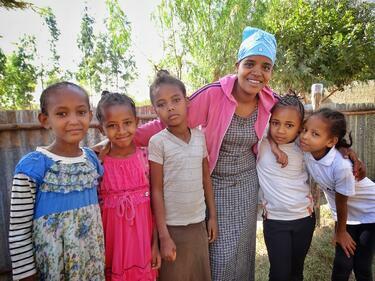 She is married to Enosi and together, they have 4 children, age ranging from 6 to 18. For years, they have engaged in rain-fed subsistence farming, using traditional farming methods and with no involvement into micro enterprise. 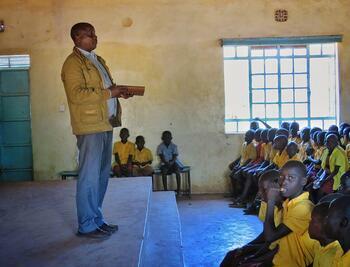 Providing for the family’s basic needs and supporting children with school supplies was an uphill task. 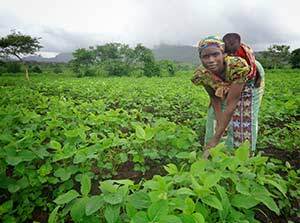 They could hardly harvest enough from their fields and had no other source of income. Fetlework with several of her Sunday school students. Listen to Mesrach read this story. “I know what these kids were missing because I have been in their position,” says Fetlework. “During my time as a Sunday school student, we had the smallest kid from age three to the oldest at 14. We all sat in one classroom and most of the things said, I don’t remember. Me and my friends never liked that,” Fetlework said. Nathalie works on an art project during school. Abandoned by her parents at 3 days old, Nathalie (9) continues to thrive in so many difficult situations. She was born a twin with a rare neuro-muscular skeletal disorder. “Nathalie’s parents abandoned her at birth because she was born with arthrogryposis condition (curved joints). Her parents left her at home and decided to take the healthy baby. The parents moved to another region and left her in the house alone before she was even one week old,” says Valentine, Nathalie’s adopted big sister. 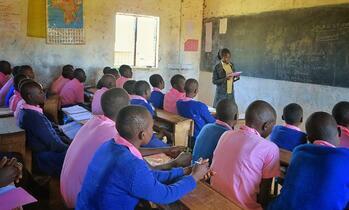 Dominica leads her students in a lesson on social studies. Dominica Chelatan (24) displays a rare trait, she has a photographic memory of her childhood. Her recollection of her upbringing speaks to the survival tactics she developed, living in a culture that had little regard for a girl child. She was born into a large traditional Pokot family of twenty children. Her father was a village elder who was respected in the community. His words were like commands and nobody dared to disobey him. The sad thing is, he had no regard for education. At only 17, Loveness has had her share of suffering. Having lost her father when she was only five, her mother has struggled to make ends meet, especially after her health began to decline. 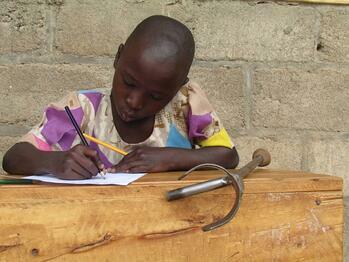 She can hardly provide food for Loveness and her two siblings, let alone pay school fees. 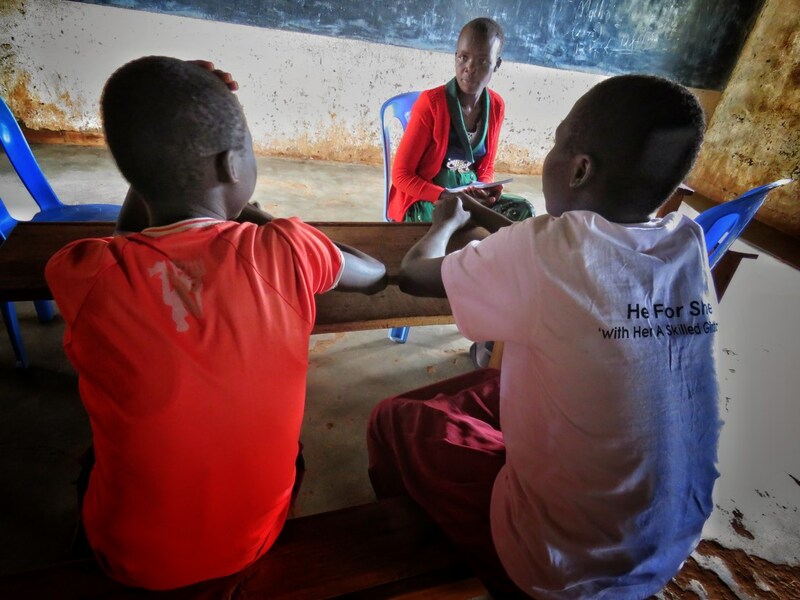 Instead of celebrating Loveness’ graduation from primary to secondary school, she despaired because she did not know how she would pay the higher tuition. Fortunately, Loveness was accepted at City of Joy, a facility run by World Vision’s partner for the Zambia Education-Every Last One (ZEELO) project. 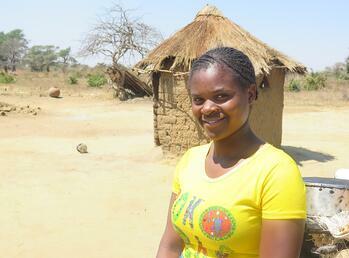 Loveness is one of 22 girls who received a scholarship from World Vision through ZEELO. The scholarship provides funding for tuition, food, shelter and other necessities. 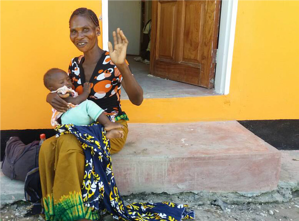 Martha became a member of her local Safe Motherhood Action Group after giving birth to eight children without any of the knowledge she now shares with her pregnant neighbors. Her lack of knowledge nearly cost Martha her life during one of her deliveries. At 34, Martha Nvula has had eight children, the youngest just shy of a year old. She and her husband live nearly 22 miles from a facility that handles baby deliveries, which meant she took great risks each time she got pregnant. Martha didn’t understand the importance of prenatal care and planning for deliveries, and three times she gave birth along the route to the health facility—once nearly losing her life because of complications. 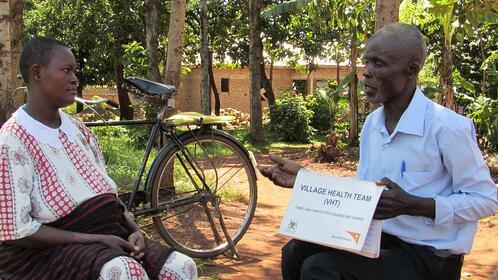 Martha jumped at the opportunity to join a Safe Motherhood Action Group in her village. She learned about timed and targeted counseling (ttC), which is the developing world’s version of the iconic pregnancy book, “What to Expect When You’re Expecting."